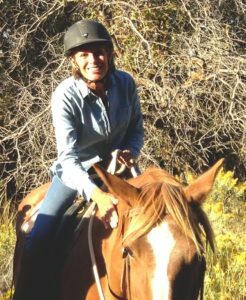 One of the most rewarding elements of publishing NickerNews and BestHorsePractices is getting to know our readers. I’m extremely fortunate to know reader Debbie Hight, a Mainer who has developed into a dear friend. Hight often emails her comments on articles, letting us know what works and doesn’t work for her and her horses. 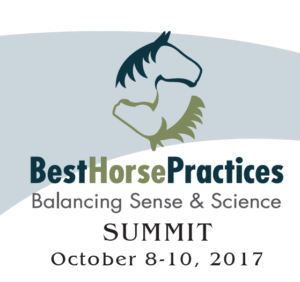 This year, Hight became a member of the BestHorsePractices Summit steering committee. On the non-horse level, she is a busy board member of the Maine Grain Alliance, a Skowhegan nonprofit that runs the popular Kneading Conference each summer. I really enjoyed the Schiller rant. When I walk into the barn or out to the pasture, my mantra is always “what stupid thing will they do today?” I guess that it might be better stated as “what stupid thing will I do today,” after all, they are just being horses. I have avoided a couple of mishaps lately just by keeping tuned to this mantra. 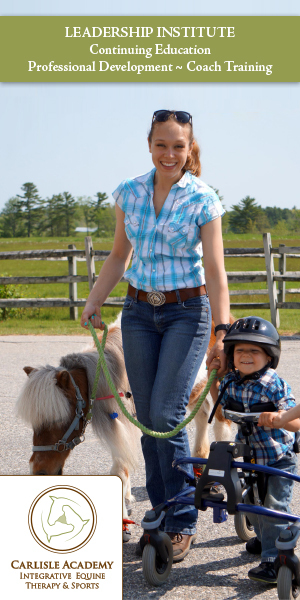 Rob has been busy lately and that has given me time to be more mindful of my riding and to find solutions to questions, other than yelling and swearing at my horse. I’ve made good progress at very small things, happily. This year’s weather has meant colder than cold and then a thaw and rain, which really means ICE. The area around my barn has poor runoff, so I get a lot of ice. When it is really awful, I generally scoot down and slide into the barn. Of course, one recent morning, I decided to carry two buckets of water out to the heated buckets. Yup, I slipped and wore the two buckets. At 40 degrees, I was ok, not to mention the personal steam. That was when I decided to look for my shoe grippers, but of course, they fit only with certain boots. I had to modify them. 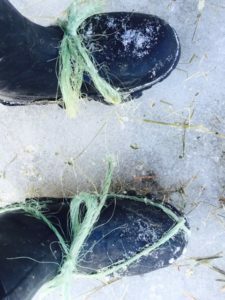 So, that is what I do with my baling twine! I had actually saved balls of it for years, thinking that I would crochet them (and I have NO idea how to crochet) into some kind of bag. In the end, I tossed out the big balls that littered my floor with twine and hay. Of course, the ice extends into my paddock and the bully, Postcard Jack, likes to chase around Mr. Arthritic Sweetheart, Elliot. I had someone come out and move snow onto the paddock once last week, but it was warm and sunny and the paddock turned to ice again. So, yesterday, I shoveled snow by hand onto the ice and packed it down for 5 hours, impressed that I could get a glass of wine to my lips last night. (Guess I need to break down and learn how to use the tractor.) Then I let them out one at a time. If Elliot goes down, that might be ballgame. So I do like to take care. Hope your healthy eating is going along well. I thought that it would be a good idea to eat better as well, though I like to think that my habits are pretty good, other than the must-have dessert at night. But the holidays call for more butter, sugar, alcohol, etc. Big deal. Guess I’ll go back to my normal eating pattern and not think so much about it. 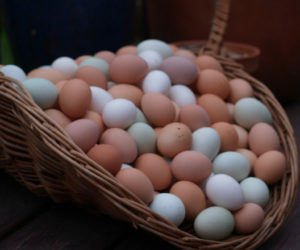 As for veganism, I cannot understand what the problem is with eggs, pretty much the perfect food. Thank heavens for eggs! Even the cholesterol people are coming back to it. Thanks for your email, Debbie! Stay in touch, dear readers! Contact us here. Posted in BestHorsePractices Summit, Humor, Maine and tagged BestHorsePractices Summit, Debbie Hight, Warwick Schiller. My grandfather used to say “On February’s second day have half your wood and half your hay”. He had four Clydesdales, Morgan horses and milk cows so this was an important rule. When is was a 6 year old (1948) being on the back of one of those Clydesdales was like being on a double bed. He had an 8N tractor for the mower, hay rake and bailer, but he put loose hay in his barn. The two teams of Clydesdales would haul the loose hay on wagons to the barn. The hay trolley could unload the wagon with one grab. This was in Fredonia, Arizona on the Utah border. My other grandfather was the Water Commissioner of Las Animas County Colorado. His seasonal quote was “When it’s Springtime in the Rockies it’s the Fourth of July everywhere else.